We love finding new products for our families that reflect our culture and heritage. Such is the case with the Lanugo line of apparel created by mother and entrepreneur, Carla Curiel. When Carla realized there was a lack of products for Latino families that celebrated our culture’s uniqueness she decided to do something about it. Carla and her husband put manos a la obra and created Lanugo, a line of apparel that is, like their slogan says, Latino de corazón. You can expect lots of charm and wittiness from every Lanugo product; their mission to preserve our Latino heritage shines through. From their onesies to their t-shirt and water bottles, Lanugo introduces kids to different characters that feature the dichos and refranes we often use. Lanugo is currently participating in the #GetOnTheShelf contest by Walmart which helps entrepreneurs like Carla get their products in Walmart stores . How awesome would it be to have Lanugo products sold in Walmart for all to enjoy! You can help this mamá continue her mission of preserving our heritage by voting (just click this link right now) for Lanugo to #GetOnTheShelve. 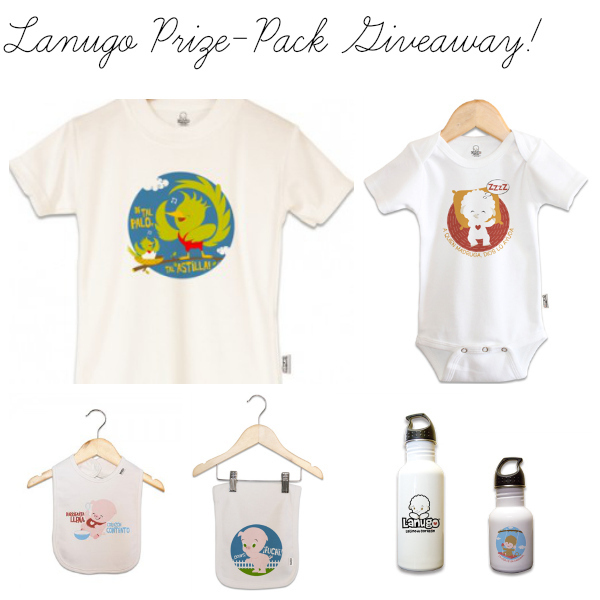 We are giving away one prize pack of Lanugo products to one lucky winner! The prize pack includes all six items you see below, a total of $75 . All you have to do is visit their on-line store and leave us a comment telling us which is your favorite product. This is an awesome prize! I’ve been eying their products! Just found out I’m having a baby boy in January! This would be perfect! 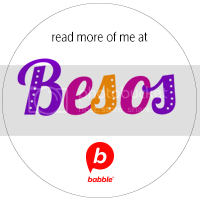 I like their toddler t-shirts…especially the de tal palo! Can I say cute. 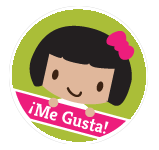 I like the Baby Lap Tee “Barriguita llena…”. I am an email subscriber. I like the “barriga contenta” items! So cute! I follow them on Instagram, love how cute their products look! 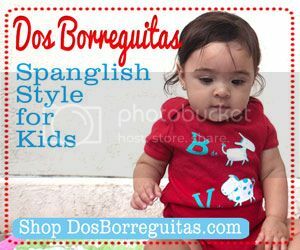 I love the toddler shirt; Girl Cap Tee “Dios me bendiga”! “Angel de la Guarda” shirt is soo cute. mE ENCANTA TODO DE SU PAG. PERO EN ESPECIAL LOS BABEROS CON SUS FRASES TAN LINDAS!! 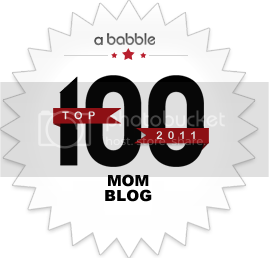 My fave is Baby Lap Tee “Angel de la Guarda…”! Good luck I hope she gets in to wal-mart! The girlie t-shirts are so lovely. I already have one with Gloria but I think Mia and Chuy are so cute! I like the Baby Gown “El que no llora…” in blue! What a great idea with style!